It’s unsurprising, with the bad press it’s gotten, that the Fantastic Four movie that opened this week is not doing well. I am shocked that its Rotten Tomatoes rating is THAT low, though, with only 9% of critics liking the movie, and less than a third of the audience rating it positively. 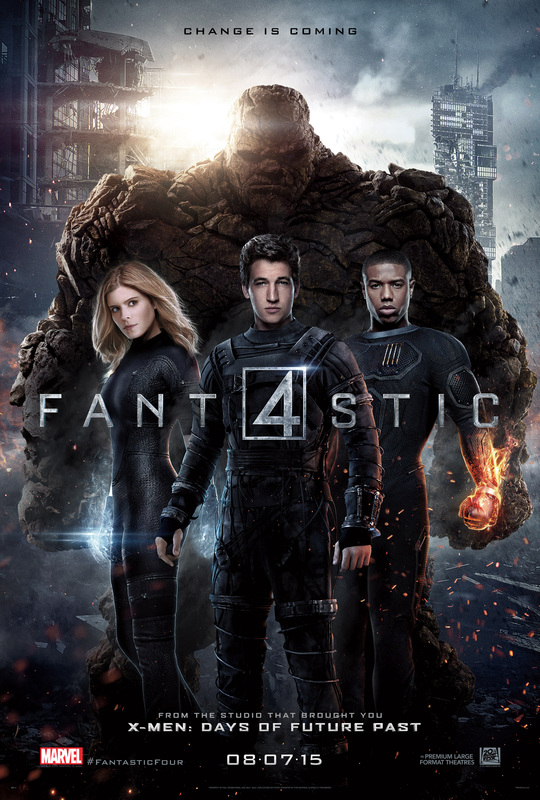 Most of the discussion about the film before it opened was about casting Michael B. Jordan, who’s black, as Johnny Storm, while Kate Mara, who plays his sister, is white. This didn’t bother me. I thought Jordan is a good actor, and shaking up the franchise in that way indicated to me a willingness to try something different. Unfortunately, the trailers made it look way too familiar. I already know the origin story. I’ve seen it multiple times. And the visuals were pedestrian, nothing we hadn’t seen before elsewhere. The bar is high for superhero franchises these days. Which may be why they seemed to be trying to emphasize the science fiction elements. 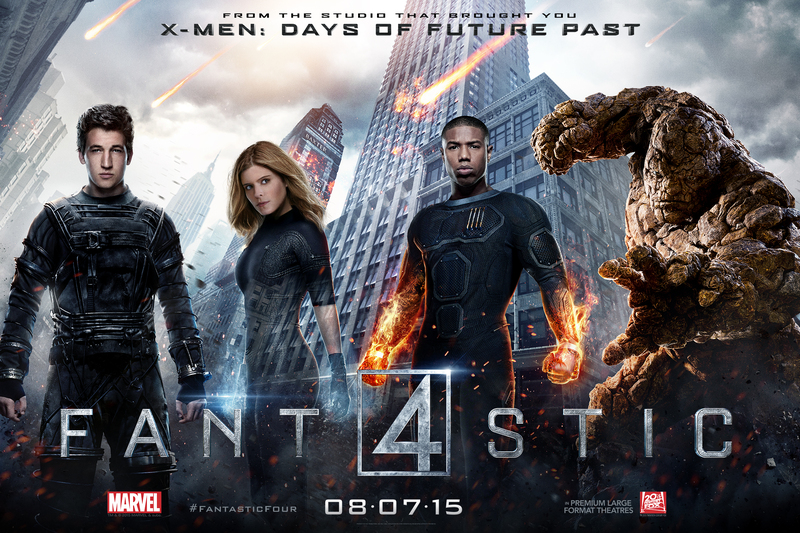 Teller and Jamie Bell (as Ben Grimm) lack personality for me, so they weren’t much of a draw. 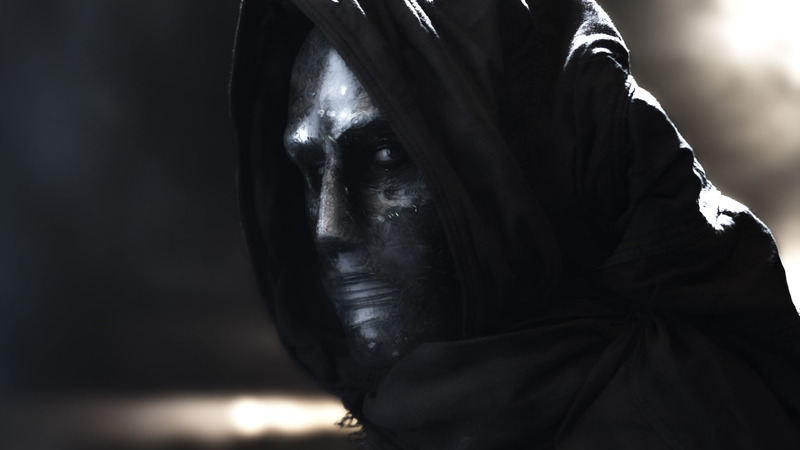 The hints of the team having to rebel against and fight the government who wants to control them were intriguing, but then it seems to turn into another “and here’s the supervillain (Toby Kebbell) to fight” setup. Mike Sterling and his commenters have some good thoughts on how and why Doom and Reed should be tied together, while J. Caleb Mozzocco found the movie frustrating and confusing, calling it “bad”, “gloomy”, and “a complete failure of an adaptation”. He points out a confusing, borderline sexist plot choice and that the best-realized character in the whole film is the villain. It’s been less than ten years since the first try, which made me wonder why Fox tried again. Answer: because that cast has become too old, and they need to keep making movies to keep the rights away from Marvel owner Disney. At least, tell a different story, one that doesn’t feel like we already know it. Anyway, the movie may, according to The Hollywood Reporter, have “one of the lowest openings for a Hollywood studio superhero title.” It’s expected to make $27-28 million on its first weekend. Sony’s Ghost Rider: The Spirit of Vengeance, did worse in 2012, with just over a $22 million opening weekend, but that movie cost a lot less than the $120 million FF cost to make. Even director Josh Trank disowned this movie. There’s a risk that Fantastic Four will come in second to Mission: Impossible – Rogue Nation in its second weekend, which would tag FF a flop for sure. I on the other hand, greatly enjoyed the film. I’m glad I didn’t see the bad reviews beforehand, so that I could watch it unsullied. It is an origin story, but I did not read Ultimate FF, so it was fairly new to me. But the movie is really not about plot, it was about character: who these people are, what motivates them, and what brings them together. I thought they were spot on with the characterizations and interrelationships. And I do agree that Doom is the most compelling character in the film. He was very well done, and the actor playing him was perfect. The turn to a generic villain at the end was a bit disappointing, but still well motivated. For me, the biggest change was having all the main characters be college kids. But once you accept that, it all flows naturally from there. With that setup, it makes more sense that someone like Reed would do something as irresponsible as testing the ship on himself and his close friends. The other thing I liked about the film was its subtlety. It didn’t tell you about the Reed/Doom rivalry , it showed you. Likewise, it showed that they needed to come together as a team in order to defeat Doom. A standard plot, but done with a light enough touch that it didn’t feel overblown. I’ll concede that the movie is too serious, and could use a bit more fun in it. But overall, I thought it was true the characters and well worth watching. Glad to hear such a positive counterpoint, Jim!